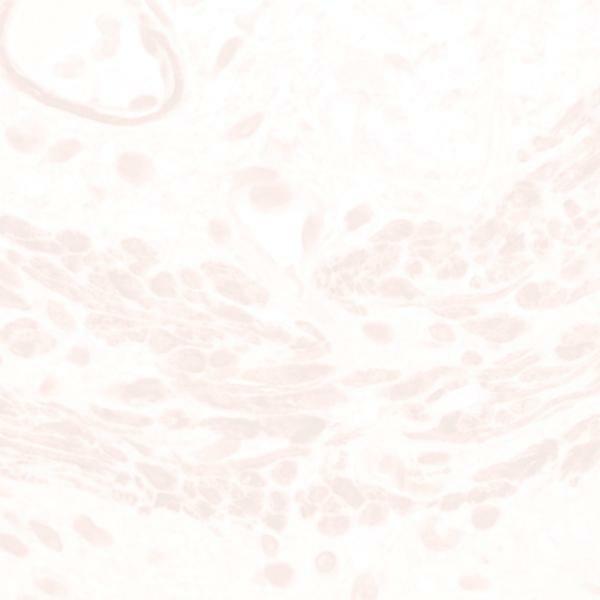 The HMB-45 antibody reacts with an intracytoplasmic antigen expressed by a majority of melanomas (melanotic and amelanotic), and other tumors expressing melanocytic differentiation, including melanotic schwannoma clear cell sarcoma. In general, "epithelioid" melanoma cells display more uniform staining than more sarcomatous spindle-shaped melanoma cells. Tumor cells of epithelial, lymphoid, glial and mesenchymal origin are negative. In normal cells, the antibody reacts with junctional and blue nevus cells and with fetal and neonatal melanocytes (variable). Intradermal nevi, non-melanocytic cells and normal adult melanocytes are negative.